This South African model did a campaign shoot for Kendall and Kylie Jenner, appeared in Usher and Drake’s music videos – and now she’s teaming up with Rihanna! 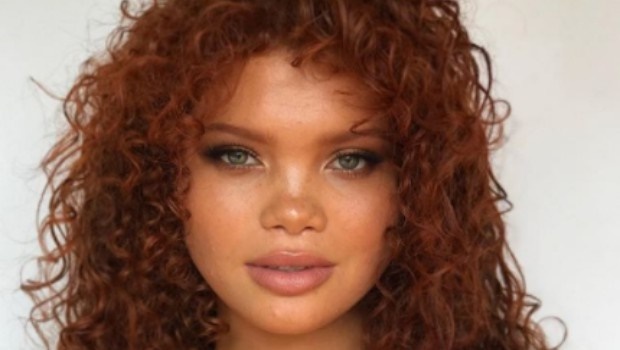 Carmen Solomons, from Kraaifontein in Cape Town, was recently chosen as one of the faces of Riri’s latest ad campaign for the Fenty Beauty cosmetics brand. The 26-year-old, who’s currently based in Los Angeles, appears alongside American models Duckie Thot, Maeve Whalen and Rihanna herself for Fenty’s new Body Lava and Fairy Bomb products, which were launched on Friday 6 April. The red-haired beauty, who landed the big gig through her Los Angeles model agency, Photogenics, says she was overcome with emotion when she heard she’d be the face of the campaign. “When I found out I booked Fenty I was flying back to LA from another job,” Carmen told YOU. “I was boarding the airplane and received an email from my agent. I literally cried with excitement. I’m a huge Riri fan. The Capetonian reveals she was in utter shock after discovering the singer had featured her on her Instagram page. “My initial reaction was shock! Then my phone started blowing up with all my friends, family and fans congratulating me. “I gave thanks to God and for sure cried happy tears,” she says. Carmen says she’s grateful for all the support from home and hopes to keep the SA flag flying high. “I love that I’m representing SA on such a huge platform,” the model says.